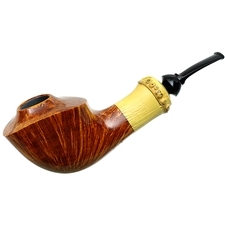 Wolfgang Becker is a pipe maker from Duisburg, Germany who, like many others, fell in love with high grade pipes. 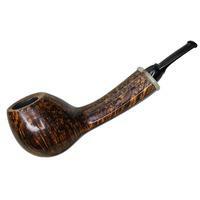 His fascination grew from admiring Lars Ivarsson pieces in the Pipe Club magazine and in 1987, Mr. Becker began to try his hand at carving pipes before getting some help and advice from fellow German pipe maker Klaus Hahn. After learning the basics and bringing his own air to the art, he began to sell his pipes in the mid-1990s. 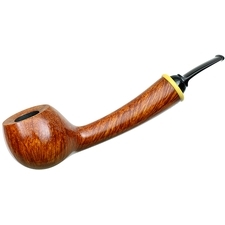 Wolfgang Becker pipes are very desirable and instantly recognizable. Borrowing from living and past legends, his shapes and style have become his own. 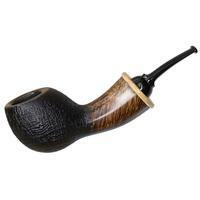 Many of his pipes play with asymmetry and bulbous form - yet are wonderfully balanced and playful. 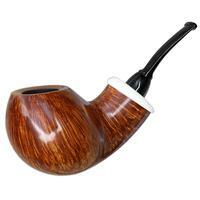 Choosing only the best briar, his pieces are only finished in smooth or sandblasted form (or sometimes both textures on one pipe). Using high-quality ebonite rod for his stems, the only colors aside from briar one will see will be from boxwood, bamboo and rarely silver. Making around thirty pipes annually, his works quickly find their way into collectors' hands and become cherished artifacts of immense pleasure.